Europe has seen better times. Astonishingly, the famous â€œdigital single marketâ€ â€“ a flagship initiative of Jean-Claude Junckerâ€™s European Commission â€“ has become the glue that is holding the ship together. Against this backdrop, the European Digital Forum deepened its work â€“ using our unique convening power and ground-breaking research to populate and animate a wide-ranging debate on accelerating Europeâ€™s â€œgreat leap forwardâ€ into the digital age â€“ and the equally vital challenge of starting and growing companies to scale on a continent whose creativity knows no borders. 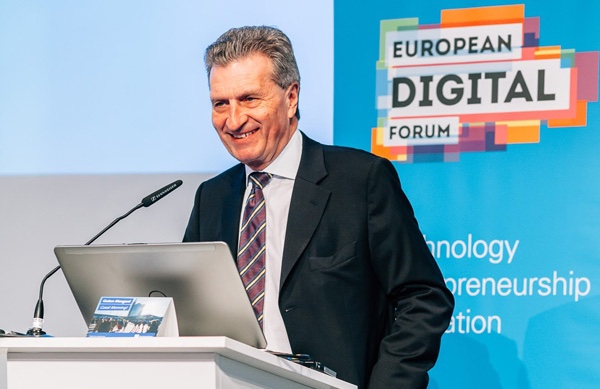 This newsletter covers the European Digital Forumâ€™s recent activities and offers a preview of forthcoming initiatives. We hope you will enjoy reading it, and thank you for your support and engagement. 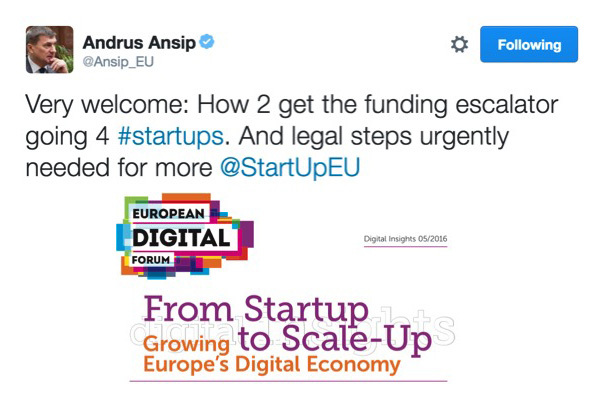 What does it take for European companies to move from the "startup" to "scale-up" phase? Why do so many European firms remain static and what prevents them from becoming global champions? 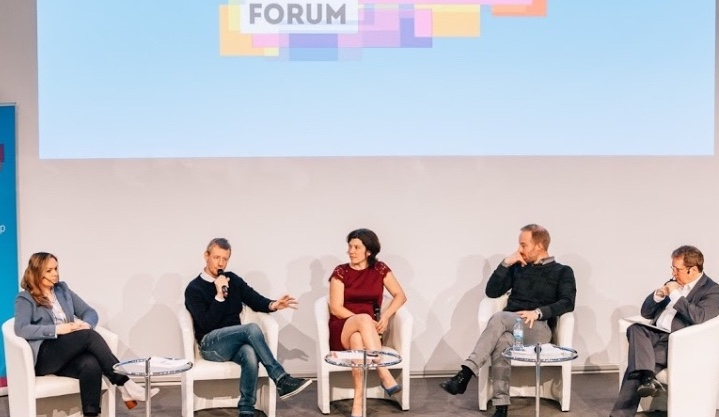 To answer these heated and timely questions, the European Digital Forum published From Startup to Scale-Up: Growing Europe's Digital Economy. The policy brief analyses the places where company-growth financing breaks down in Europe and proposes a ten-point plan for fixing the European "funding escalator." 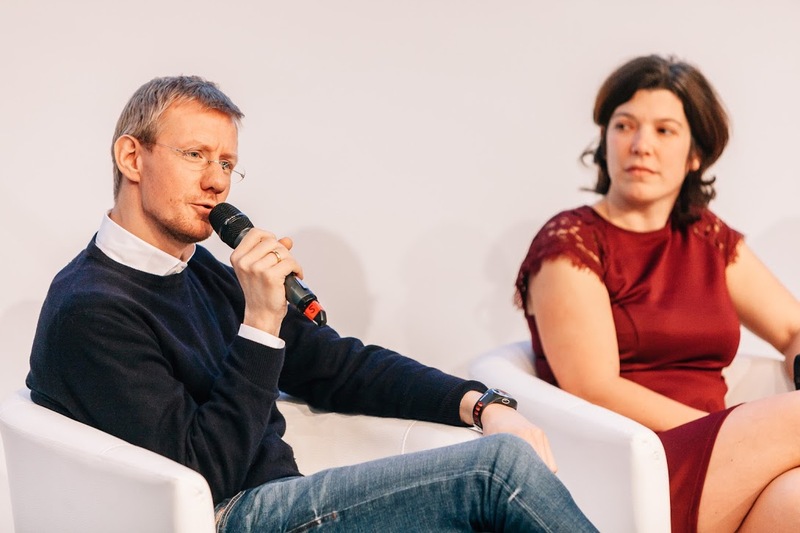 It was formally launched at Startup Europe Summit 2016 in Berlin at a high-level panel of leading venture capitalists. 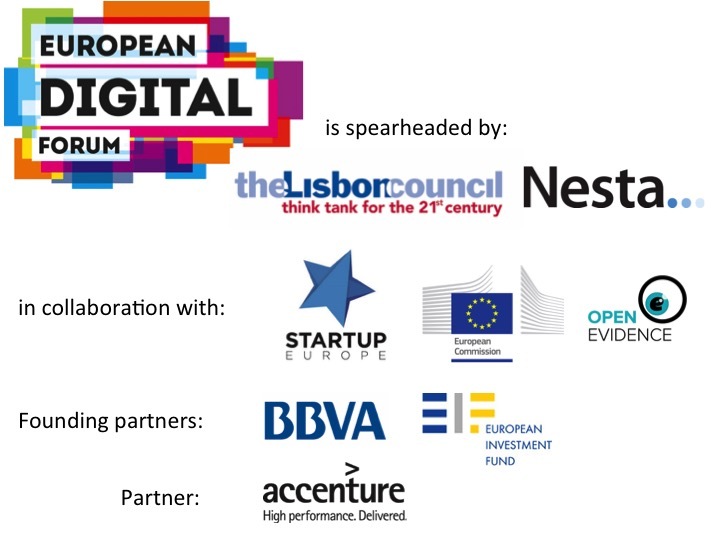 In this ground-breaking study, the European Digital Forum draws on a unique network of 33 national startup policy experts to analyse and assess the progress and achievements of the Startup Manifesto, a 22-action roadmap published in 2013 by eight leading European entrepreneurs. Which countries are doing most to create a better environment for startups? And who needs to do more? 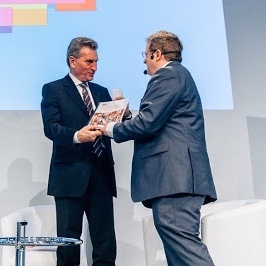 The 2016 Startup Nation Scoreboard: How European Union Countries are Improving Policy Frameworks and Developing Powerful Ecosystems for Entrepreneurs was formally launched at CeBIT 2016, the global event for digital business in Hanover, Germany, in the presence of GÃ¼nther Oettinger, European commissioner for digital economy and society. What role will electronic identification and e-signatures play in the emerging digital single market? How can Europeâ€™s new eIDAS regulation become the backbone of a better, stronger and deeper single market for the digital age? 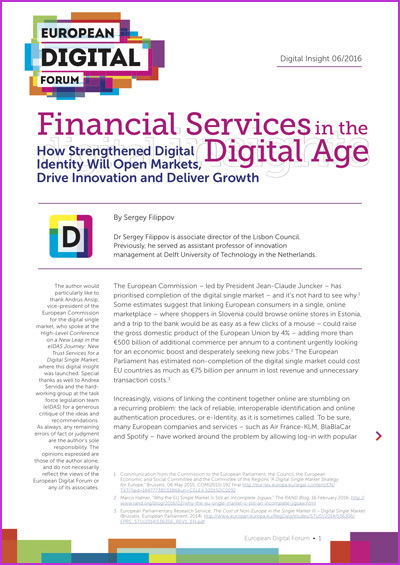 Financial Services in the Digital Age: How Strengthened Digital Identity Will Open Markets, Drive Innovation and Deliver Growth gives answers to these timely questions and sets out a seven-step programme for improving online identity procedures as a way of facilitating greater single-market access. 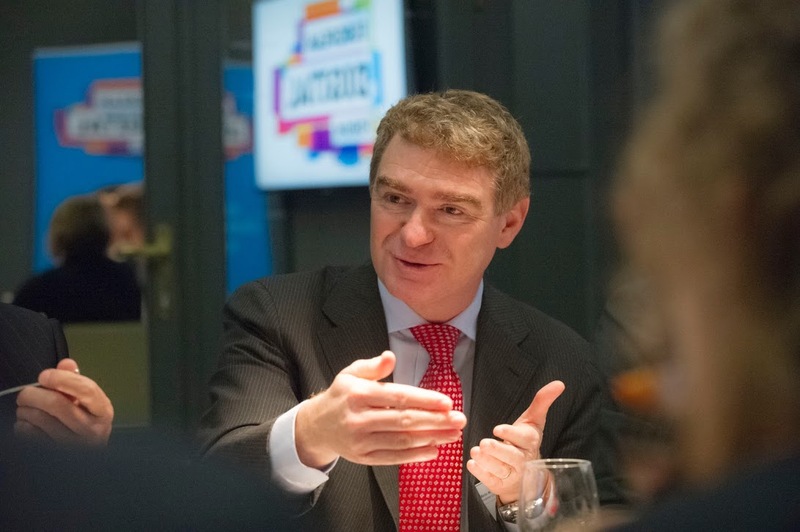 It was formally launched at the High-Level Conference on a New Leap in the eIDAS Journey: New Trust Services for a Digital Single Market, chaired by Andrus Ansip, vice-president of the European Commission for the digital single market. 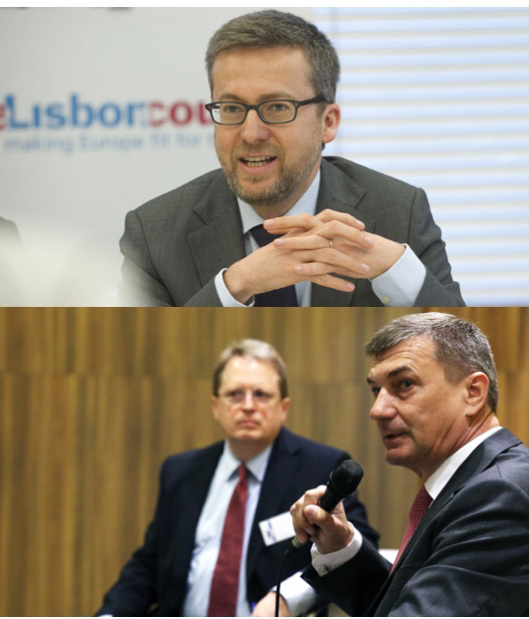 The European Digital Forum convened the High-Level Roundtable on Financial Services in the Age of the Internet. Among others, David Rutter, founder and CEO of R3 CEV, a fast-growing cryptofinance, exchanges and venture group; Ãlvaro MartÃ­n, head economist of digital regulation at Banco Bilbao Vizcaya Argentaria (BBVA) Research; Fernand Dimidschstein, managing director for FinTech innovation at Accenture; Gerrit de Graaf, director for digital single market at DG CONNECT of the European Commission; Leanne Kemp, CEO and founder of Everledger, a startup that tracks and registers diamonds through a distributed ledger; and Mario Nava, director for regulation and prudential supervision of financial institutions at DG FISMA of the European Commission, presented an array of ideas on the digitalisation of retail financial services and discussed the interplay between the digital single market strategy and emerging action in the area of retail financial services. 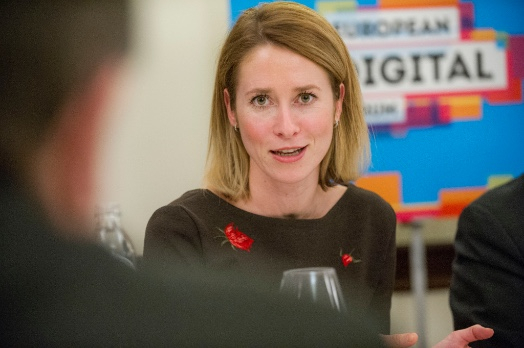 The European Digital Forum convened the High-Level Working Dinner on Making eGovernment a Success to discuss how the European Commissionâ€™s eGovernment Action Plan can improve public service and deliver results. 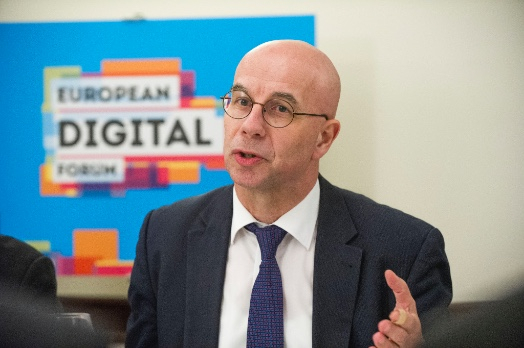 Paul Timmers, director for digital society, trust and cybersecurity at DG CONNECT of the European Commission, kicked off the discussion. Kaja Kallas, member of the committee on industry, research and energy at the European Parliament, also joined the debate, which was intellectually informed by Government of the Future: How Digital Technology Will Change the Way We Live, Work and Govern, a European Digital Forum policy brief that imagines a world where citizens and governments collaborate to "co-create" public services through the use of radically enhanced approaches, such as "government as a platform"-based services and artificial intelligence-led services. 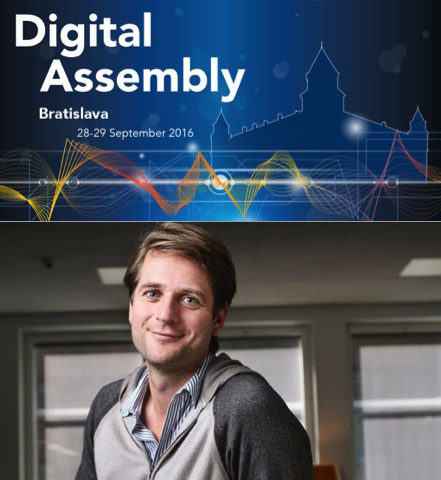 The European Digital Forum will take central stage at the Digital Assembly 2016 in Bratislava, Slovakia on 28-29 September. Co-organised by the European Commission and the Slovak Presidency of the Council of the European Union, the Assembly will bring together Europe's digital shapers and doers. 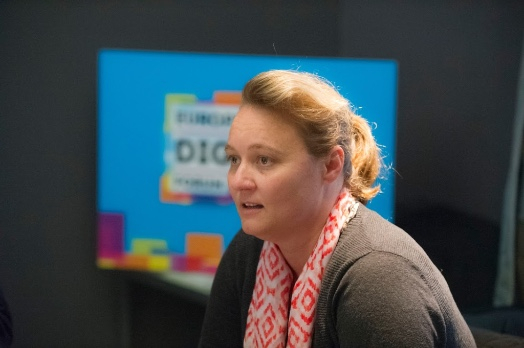 The EDF will use the occasion to launch a major new paper on the European startup ecosystem and host a series of high-level debates on Europe's digital future. Sebastian Siemiatkowski, CEO and co-founder of Klarna, an e-commerce company and one of seven Swedish unicorns, will deliver a keynote. In the autumn, The 2016 European Digital Forum will convene in Brussels around the unique theme of â€œfinancing growth and growing finance.â€ Carlos Moedas, European commissioner for research, science and innovation, delivers the keynote to this wide-ranging assembly, which will bring together entrepreneurs, venture capitalists, startup leaders, think tankers, regulators and digital aficionados of all stripes. Sessions will be built around a key theme: How can we grow the pie of growth-generating finance? What key initiatives are in the pipeline? And how can a collaborate, multi-stakeholder think tank like the European Digital Forum contribute to further success of European policies in this key area? 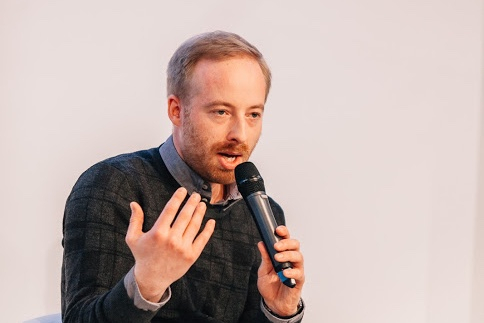 One breakout session will pay special focus on startup finance and venture capital, and analyse the role of the forthcoming European Innovation Council and the European Fund for Strategic Investments. 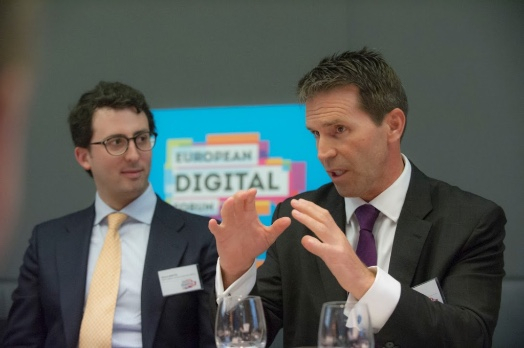 The European Digital Forum takes the lead in a wide-ranging debate. How can we best power startups to go beyond success in one country and take their success globally? How can we ensure that our best and brightest ideas have every chance to prosper, create jobs, scale up and evolve into powerful global companies, moving seamlessly across European borders and making their mark on the powerful global markets beyond? Drawing on the input of dozens of startup leaders in EU member states â€“ and more than two years of thought-leading research and direct community-driven collaboration â€“ the European Digital Forum will publish a hard-hitting action plan for stakeholders and policymakers at all levels â€“ European, national, local, and beyond.